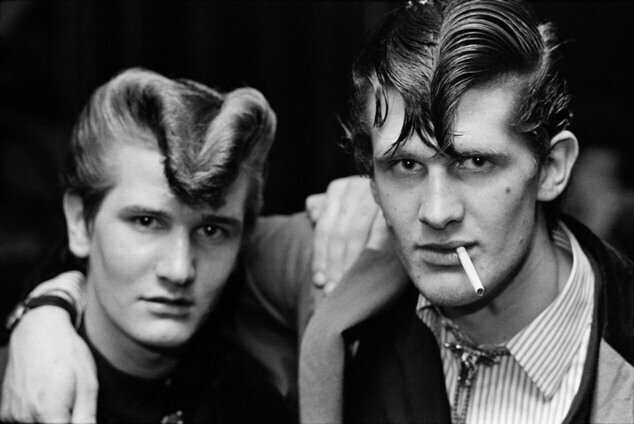 Between 1976 and 1979, Photographer, Chris Steele-Perkins, working with the writer Richard Smith, documented the phenomenon of Ted culture across the UK in a series of striking black and white photographs. 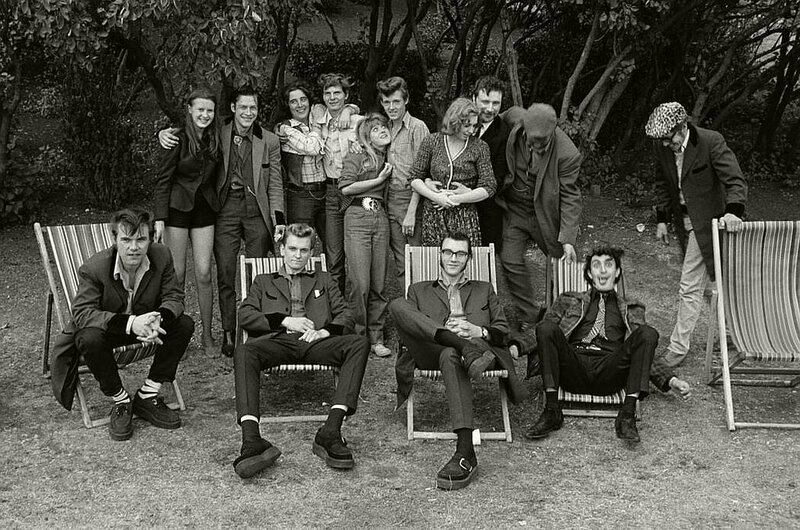 In the mid 1970's Chris Steele-Perkins, along with writer Richard Smith, were commissioned by the now-long defunct New Society magazine to cover the second wave of the Teds for a story, which grew into a self-motivated study of the British youth movement over several years. Steele-Perkins, who at the time was donning a more relaxed style and long hair, remembers the first wave of Teds when he was a child in the 1950s: "Each town had its own Teds who hung around on street corners smoking and sort of grunting at people. My father would rail against them and threaten to turn me over to them if I didn't behave myself. Maybe that helped to drive my curiosity when I was older." In the 1960s a new generation adopted Ted culture and in the mid-Seventies, yet a third generation adopted the Ted style - fashionable Seventies teenagers, spurred on by nostalgic radio, TV, and the cinema. This new set of 1970s Teds were documented from 1976 - 1979, alongside the 'veterans' of the 1950s, by Chris Steele-Perkins. 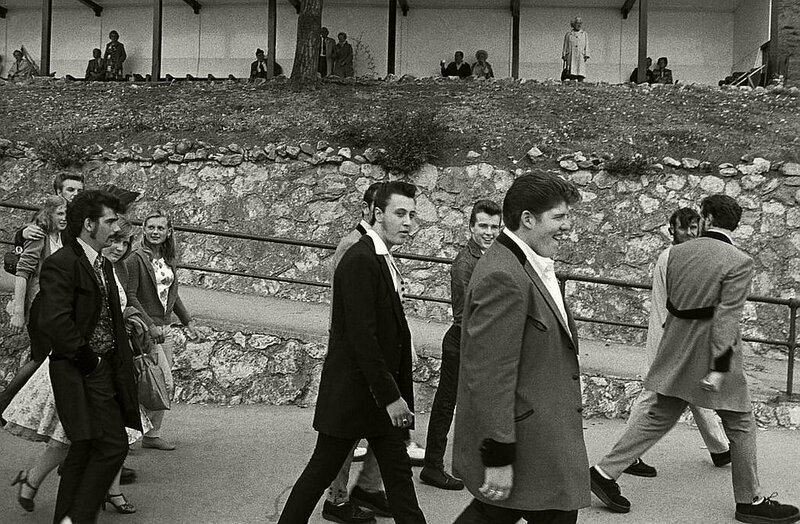 Chris Steele-Perkins went beyond simply capturing the distinctive fashion of the 1970's Teddy Boy movement by documenting the Teds interacting in the environs of the dance hall, the pub, the suburban home, car parks and seaside promenades. 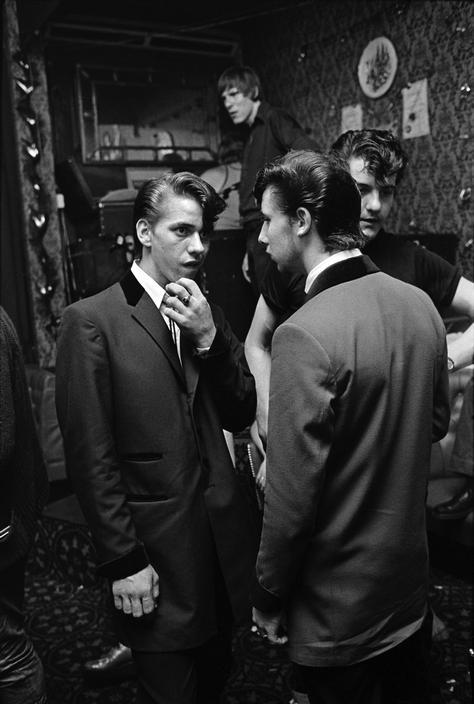 The series of photographs quickly became a classic of British social documentary photography of the 1970's Teddy Boys. In 1979 Dewi Lewis publishing produced a book entitled, THE TEDS which featured many of Chris Steele-Perkins photographs of 1970's Teds with the text being written by Richard Smith. This book is still available, being re-published in 2002 and now a new version has just been re-published in 2016. 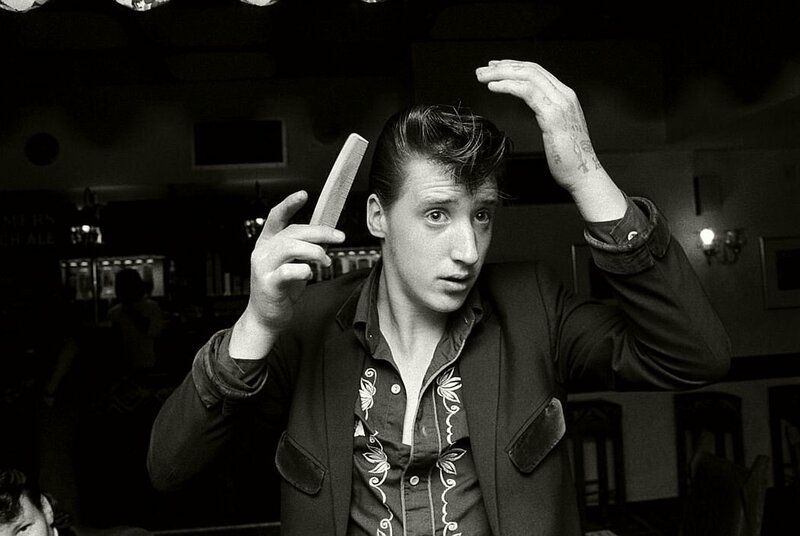 A Ted combs his hair in he Market Tavern pub, Bradford, Yorkshire, 1976. Copyright Chris Steele-Perkins. Teds at the Red Deer Pub. Teds in the Castle Pub, Old Kent Road, Elephant & Castle. 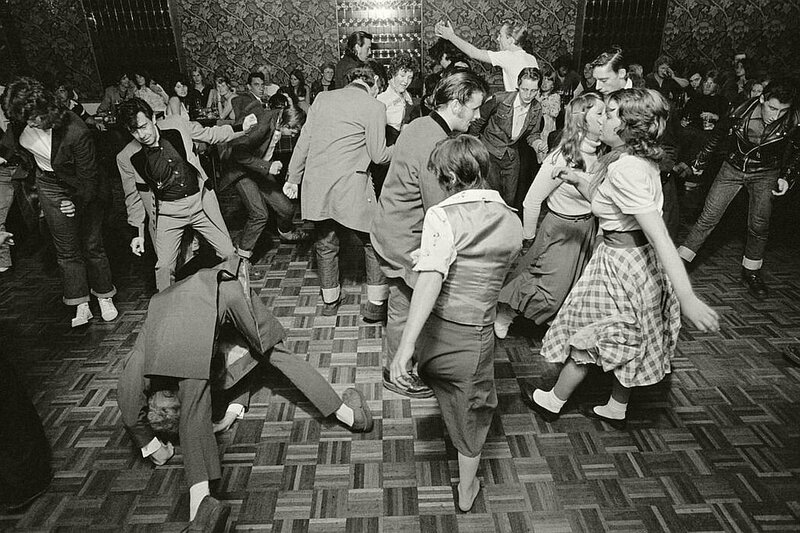 Teds dance away at Boldon Colliery British Legion Rock n Roll Club, County Durham in 1976.